Sgt. 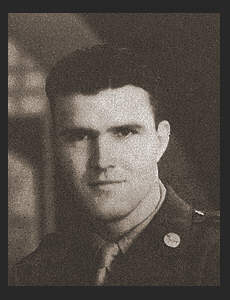 Paul E. Defoyd, son of Mr. and Mrs. Elijah Defoyd, graduated from Henderson High School, attended ESTC, Ada. Entered the Air Corps in July 1942, trained in Denver Colo.; served in Italy; was Discharged in Sept. 1945. Awarded Good Conduct Medal, Dist. Unit Badge, EAME Ribbon with one Silver Star and three Battle Stars.